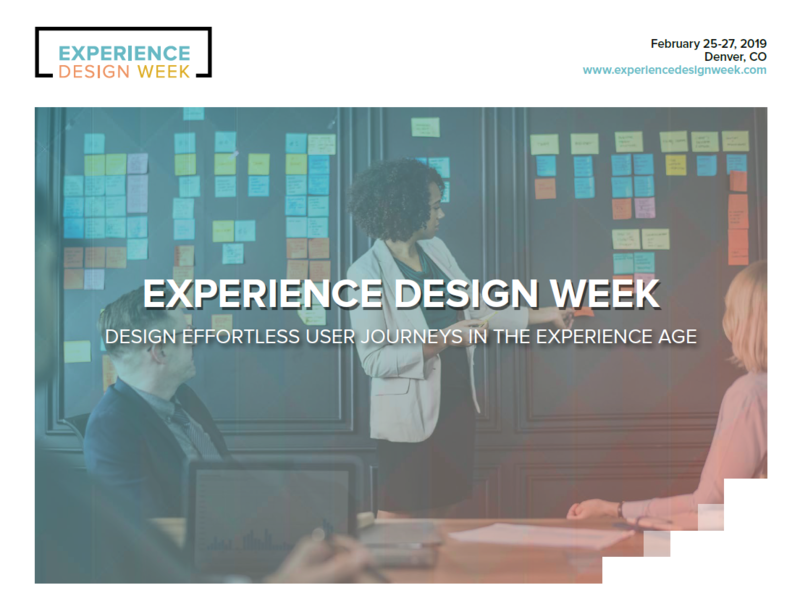 At Experience Design Week this February 25-27, learn about experience design best practices from industry leaders with sessions targeted to both your specific function and sophistication of organizational experience design implementation. Leverage networking opportunities with the experience design community and get exposed to top consultancies and learn about how they can support your initiative. View our full agenda to see what we have planned. If you would like a copy of the agenda sent to you directly, contact us here.